We arrived in Bahia Los Frailes on Wednesday, Nov. 10th (See Map). The Bay is about 50 miles north of Cabo San Lucas and pretty isolated with a small Mexican Fishing Camp with about 5 pangas (small fishing boats). There is also a Resort or Bed & Breakfast at the south end of the Bay. After we anchored, I noticed that the water is so clear you could see our anchor, laying on a sand bottom in 35 feet of water. The sea temperature is 82 degrees and we are just north of the Tropic of Cancer. Camelot is anchored about 1/4 mile off the beach, which extends about 3 miles around the bay. 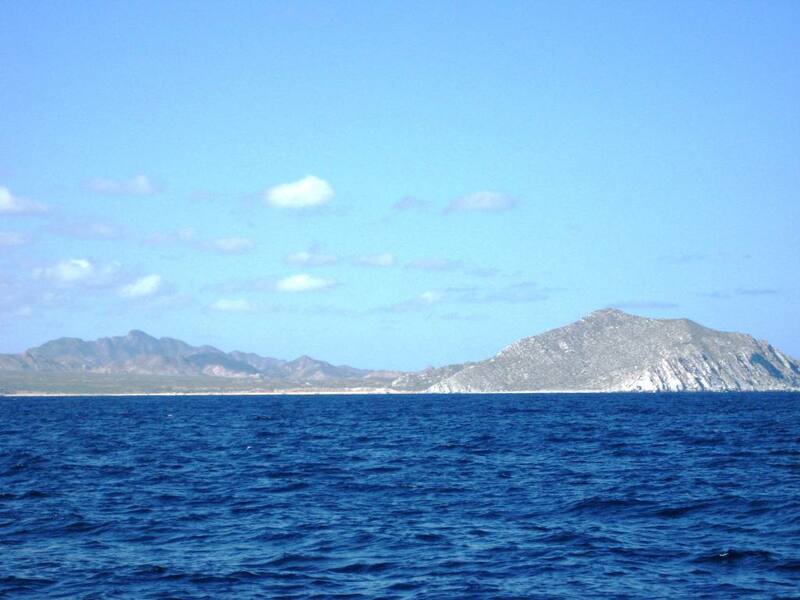 A large peninsula provides excellent shelter from the waves coming down the Sea of Cortez. We plan on staying here through the weekend to wait out some high winds that are predicted over the next 48 hours. 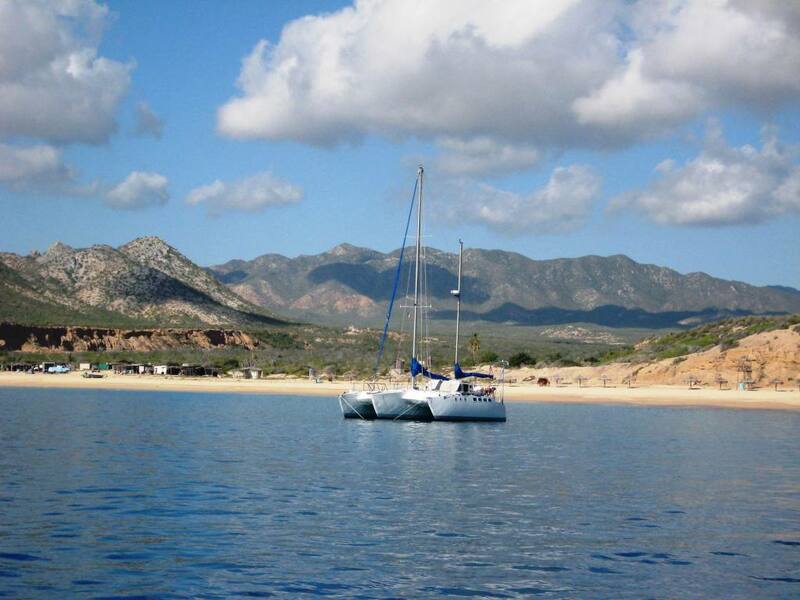 We plan to do some exploring and maybe check out Cabo Pulmo, which is the only natural coral reef in the Sea of Cortez. As a side note you will notice we are in the middle of nowhere, 50 miles north of Cabo San Lucas. We have no cell phone reception on either our Mexican or American cell phones, but have Wi-Fi…. What a world we live in. Good hearing from you. You are coming into San Diego nicely on the Baja net. Should have good north going for the next few days. Take advantage of it! I have a marvelous set of aerial photographs of the area you are in. It is about a 350 MB file. Do you know of a way to send it? Great report. Looking forward to read more about your cruise, Wish I could be there. It sounds like you have settled in nicely to the cruising life style now that all the HA-HA fuss is over. Thanks for all the posts so we at home can live vicariously through you until we too can cut the lines. We are very happy for you two!